Yes, this is the same jacket you saw last week. I told you it was going to be my new closet staple and I wasn’t kidding! Since it’s warming up a little more, this week I decided to pair the jacket with my new blush cami, which not to mention is under $50! 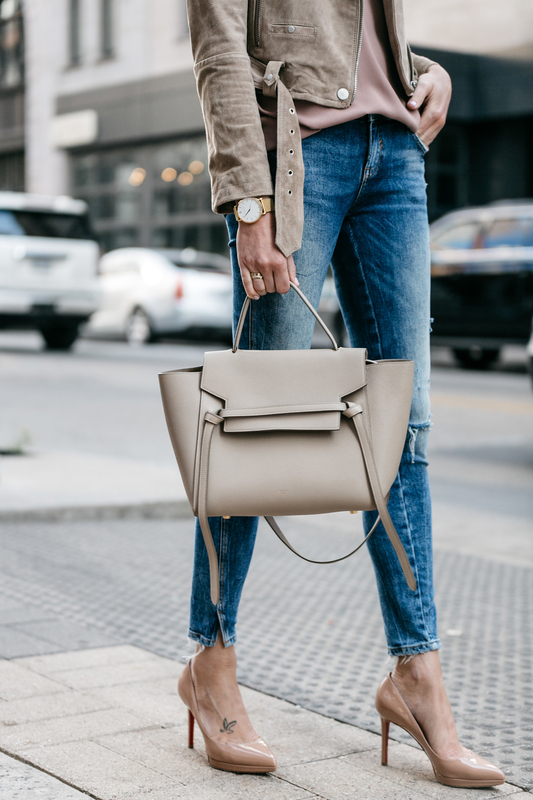 I love the soft feminine neutrals paired together with blue jeans. It creates the perfect ensemble that can easily be worn from day to night! In other news, if you haven’t already heard, you can now shop all my Instagram, Snapchat, Pinterest, and other mobile web images using the newly launched LIKEtoKNOW.it app available in the iTunes store. This means, no more signing up, waiting on emails, etc. Simply take a screen shot of the image with the LTK logo in the bottom right corner to shop the products via the app. Of course you can still “like” my images via Instagram (I greatly appreciate all your engagement!) and receive the emails, but now this tool will help you shop my outfits that I post in Instagram Stories & Snapchat! I will continue to educate you all over the next few weeks on my social media platforms, so be sure to follow along, especially for the exclusive shopable content! Loving this new hue! You look gorg, lady! Love this jacket! Looks great with the blush camisole! I’d love to see a roundup of camisoles in all price points- I feel like I’m having a difficult time finding good ones for layering under jackets and blazers. 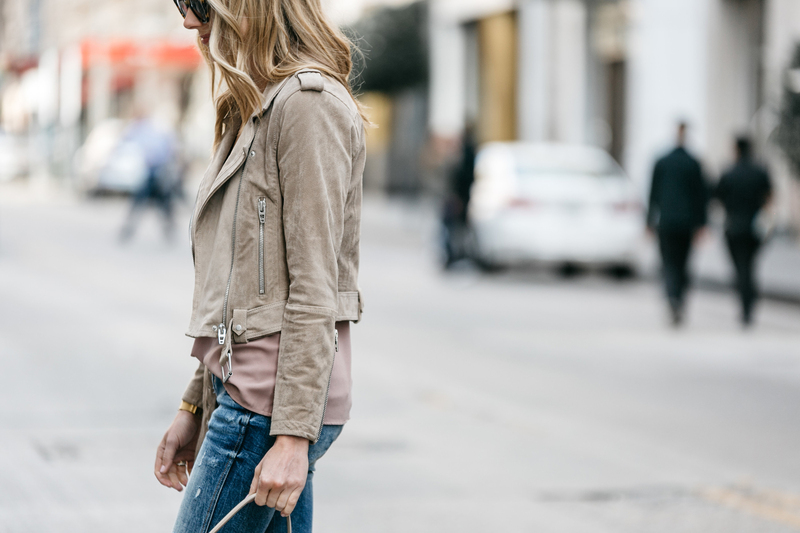 Suede jacket like this one is a must have this Spring! I’ve spent hours trying to find a post on this colour to see what it looks like it real life! Everyone seems to have the coffee bean. Thank you so much for posting about this colour! I was worried it would be too light but I love it!